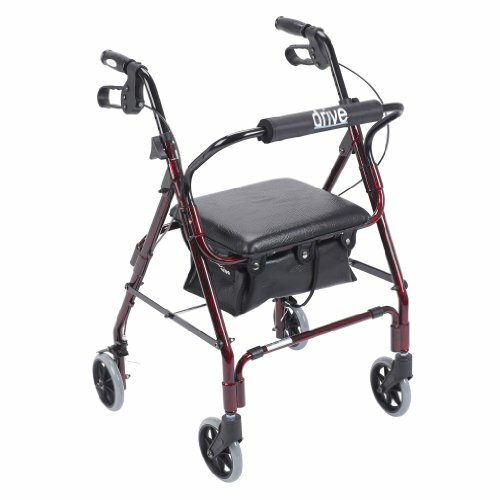 The Winnie Mimi Lite Deluxe Rollator by Drive Medical comes in an attractive flame red finish. The lightweight, solid 6" tires are ideal for indoor and outdoor use, and ensure a smooth ride over most surfaces. The rollator also comes with a standard carry pouch that is underneath the comfortable padded seat to easily and securely transport personal items.